Run -- don't walk -- away from these terrible stocks. At the right price, almost any stock can make for a decent investment. But there are some stocks that are better left alone. If the underlying company has a failing business model, excessive debt, or no real plan to turn things around, even a beaten-down stock price and a seemingly cheap valuation shouldn't be enough to get investors on board. As we enter 2017, investors can avoid disaster by shunning Twitter (NYSE:TWTR), Sears Holdings (NASDAQOTH:SHLDQ), and Pandora (NYSE:P). All three stocks come with temptations, but staying far away is the best bet. Twitter has been trying to turn its service, which has become a crucial tool for many, into a viable business since the company went public in late 2013. The stock has been a disaster for investors, losing around 78% of its value since peaking soon after its IPO, and down almost 30% over the past year. User growth has largely stagnated, revenue growth has slowed way down, and the company's persistent losses forced another round of layoffs late last year. Through the first nine months of 2016, Twitter posted a net loss of $290 million on $1.81 billion of revenue. Executives are leaving in droves, with six out of 10 executives that were part of the leadership team at the beginning of 2016 now gone. The CEO, Jack Dorsey, is also the CEO of Square, depriving Twitter of a leader focused solely on the fixing the company's problems. It's a mess, in other words, and it doesn't seem to be getting any better. Twitter's plan to turn things around involves a big live video push. The company secured streaming rights to 10 NFL games last year, and it has signed streaming deals with various other sports organizations. But the strategy seems unlikely to create the kind of engaged users that Twitter desperately needs. Despite all of these issues, Twitter is still valued at around $11.5 billion. A failed attempt to sell itself last year showed that no company was willing to pay such a high price for such a troubled company. Investors shouldn't be willing to pay such a high price, either. With Twitter unable to make it work, the best bet is to simply stay away. Sears Holdings, which operates both Sears and Kmart stores, has been a slow-motion train wreck for years. Comparable sales are falling off a cliff at both stores, down 10% at Sears and 4.4% at Kmart during the most recent quarter. Total revenue has declined from $53 billion in 2006 to just $23.4 billion over the past 12 months, and the company hasn't turned a profit since 2010. Meanwhile, Sears' debt is ballooning. Total debt reached $4.3 billion at the end of the third quarter, with the company on the hook for another $2 billion related to pension benefits. A new $200 million loan from ESL Investments, a company controlled by Sears CEO Eddie Lampert, will buy Sears more time. But with a net loss of about $2.2 billion over the last 12 months, that new loan is chump change in the grand scheme of things. Sears has been selling off its most valuable assets, including its outlet and neighborhood stores and Lands' End. The company is now considering selling its Craftsman, Kenmore, and DieHard brands in an effort to raise even more cash, but the core business is in such terrible shape that I'm not sure any amount of cash will save it. Turning around any retailer is hard; turning around two retailers with brands that consumers no longer care about is next to impossible. Sears is still valued at around $1 billion, but that's $1 billion too much, if you ask me. Pandora has been around for a long time. Founded in 2000, the company is one the most popular internet radio providers. According to MusicWatch, around 30% of the time consumers spent streaming music during the second quarter of last year occurred through Pandora, putting the company at the top of the list. But market share doesn't mean much if it doesn't lead to profitability. 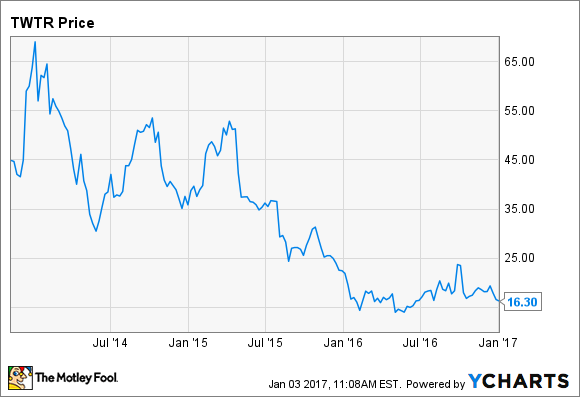 Pandora has been a perennial loser on that front, and losses have only grown along with revenue. Over the past 12 months, Pandora produced $1.33 billion of revenue and a net loss of $272 million. Music royalties, a big chunk of its costs, are completely out of its control, set instead by the Copyright Royalty Board. Content acquisition costs ate up nearly 53% of revenue through the first nine months of 2016. Pandora will be launching an on-demand streaming service, Pandora Premium, this year in an effort to compete more directly with market leaders. The company hopes to gain 11 million subscribers by 2020. But with Spotify sporting around 40 million paying members and still not profitable, Pandora's foray into on-demand streaming will likely be plagued with the same content cost problem that its core business faces. I don't see a path to profitability for Pandora. Unable to produce a profit despite a leading share of the music streaming market, Pandora is a stock best avoided.